You get spoiled living in the city. Everywhere you turn there is another decent-to-great restaurant to try, each its own singular culinary voice in a crowded eater’s paradise. Consider each city neighborhood and their busiest streets. How many good restaurants, for example, are on Murray Avenue in Squirrel Hill? And not all of Murray Avenue, just the stretch between Forbes Avenue and where Murray hits Forward Avenue. I suppose it depends on personal preference, but in my mind, the answer is somewhere around ten. Ten. In the span of a few blocks. And yes, that’s a Pittsburgh perspective. Someone coming out of a city like New York would laugh at that number. “Ten decent restaurants in a few blocks?” they’d repeat. “My block alone has nearly a dozen places to eat, and that’s not counting the street vendors! That seems downright… suburban!” They would go on, but I have either tuned them out or punched them in the face, cause while they may be right that urban Pittsburgh doesn’t (and probably shouldn’t) pack in the businesses like urban New York, they seem to have forgotten what being out in the suburbs is like, especially for diners. That’s not to disparage suburban eating. 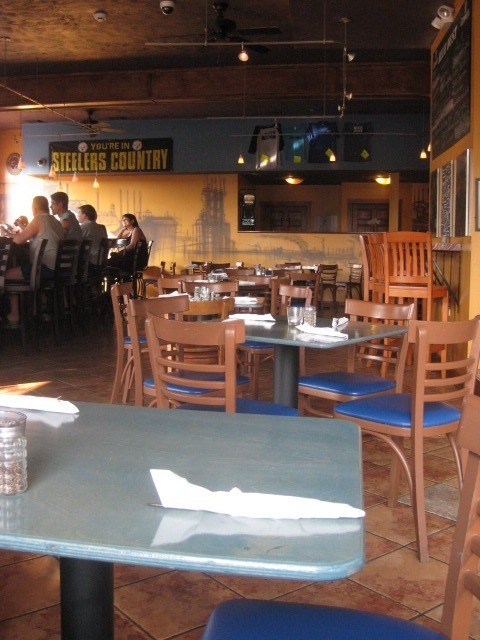 Dormont is quasi-suburban, and I go on and on about how terrific it is for diners. I’m not thinking suburban neighborhoods so much as those areas that are, for lack of a better term, vacant of “charm” and abundant with “commercial.” I’m thinking of places like Robinson. Robinson, with its myriad of big chain stores, its endless strip-mall-esque sections of businesses, it’s gigantic and labyrinth-like parking lots. When I think of Robinson the visual that pops out most readily in my mind is IKEA, emerging from the highway like a monolith tribute to shopping. Its vibrant blue and yellow call the eye’s attention like a shopping siren bringing cars into its parking harbor. It may say something about my own particular Robinson experiences that the only place I recall eating in the area is the cafeteria at IKEA. (Oh, I could totally go for some Lingonberry soda right about now. I’ll pass on the Swedish meatballs, however.) 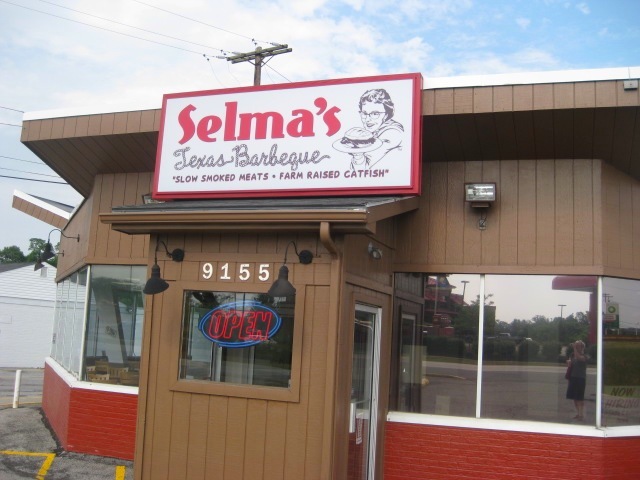 Most of the nearby restaurants don’t really offer much competition. For most people in and out of Robinson, food is a secondary notion, to be eaten immediately before or immediately following the grander purpose of shopping. Why do malls have food courts and only a few full-restaurant options? Because most shoppers are in a retail-heavy area to shop. Fortunately, someone was bound to challenge the status quo of the eateries in Robinson. 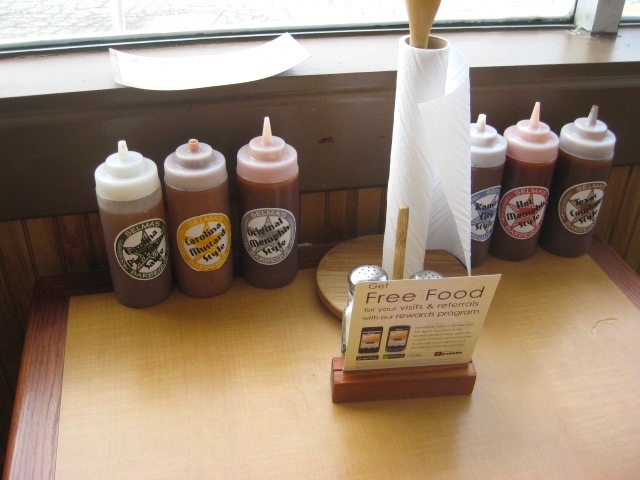 Before the newly formed Settlers Ridge started bringing in restaurants that would be unique to the immediate area, Bocktown Beer and Grill was the first strike against the mediocre and mundane that comprised most of the Robinson dining options. 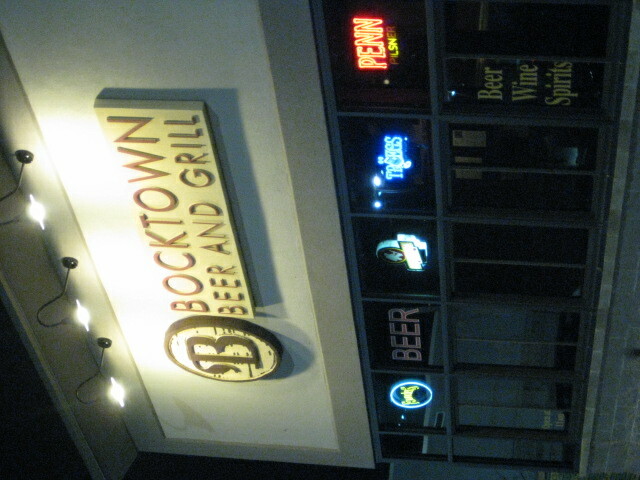 Bocktown’s Robinson location is in a strip mall segment across a vast lot from the Target. 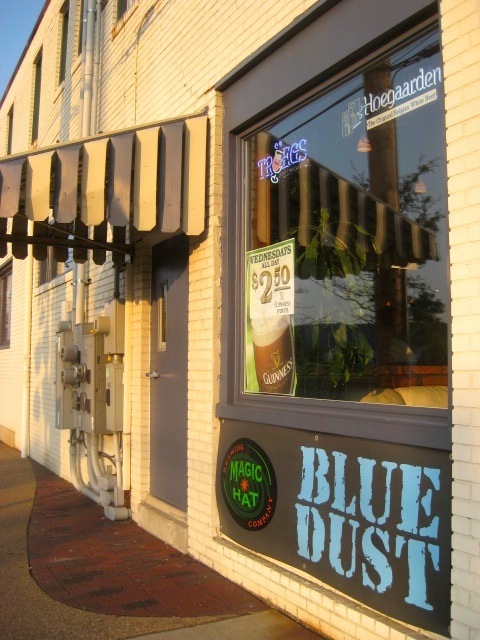 Its long, narrow interior is brightly lit and lined on one side by a bar area and the other side by booth and table seating, eventually leading back to an outside beer garden area. 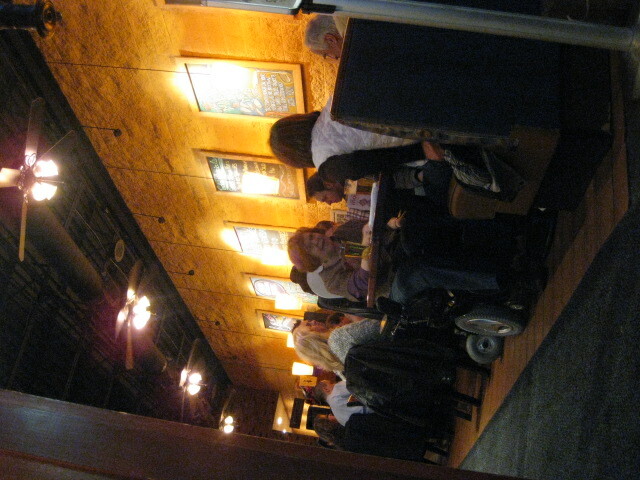 The inside is a surprise – warmly painted and lit, tasteful decor, and comfortable seating – compared to its mostly staid exterior, although the hand-drawn chalkboards advertising specials, events, and the various online locations for Bocktown was a nice touch, livening up a dimly lit concrete sidewalk. The staff is dressed supremely casual, but move with quickness and efficiency. We were assured of a short wait, then quickly sat in a corner near the front, slightly isolated from the rest of the dining area. A few moments to peruse the beer list, then our server, James, introduced himself and took our drink and appetizer order. Being lazy can actually be a terrific gateway to quick, delicious recipes. While I’d love to make stews and casseroles and pastas and pastries for every day of the week, many nights the thought of putting any more than ten minutes into a meal is oppressive. Not that I’m necessarily advocating 30-minute, Rachel Ray – type cooking. So much of those ingredients are processed foodstuffs, not fit for man nor beast (well, maybe beast), or at least, not the kind of thing you want to habitually reach for when you need a quick dinner. 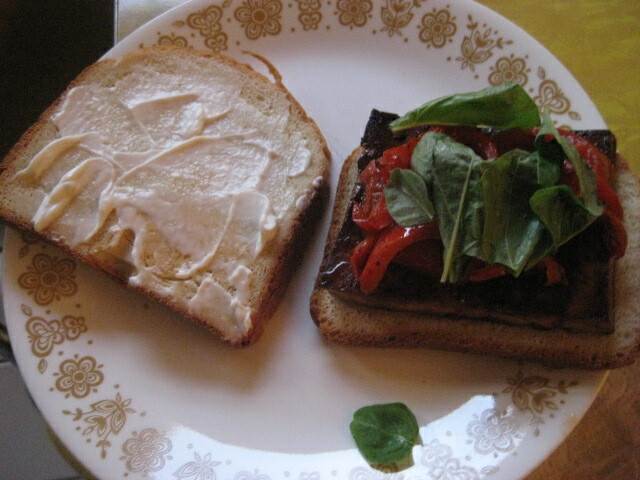 Hence, the sandwich. 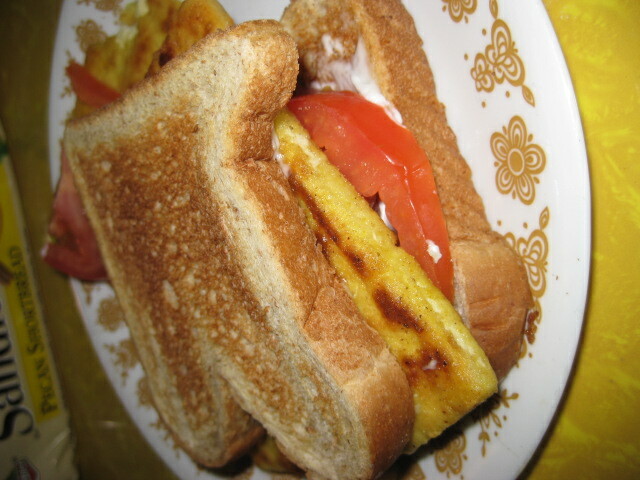 The wonderful, multi-faceted sandwich. Perfect for carnivores, omnivores, and herbivores alike. Sandwiches are fantastic ways to get rid of remnants of produce, use that last slice of cheese, or try a flavor combination not yet sampled. Add heat, add condiments, add herbs, or see how much taste mileage you get out of only two or three ingredients. 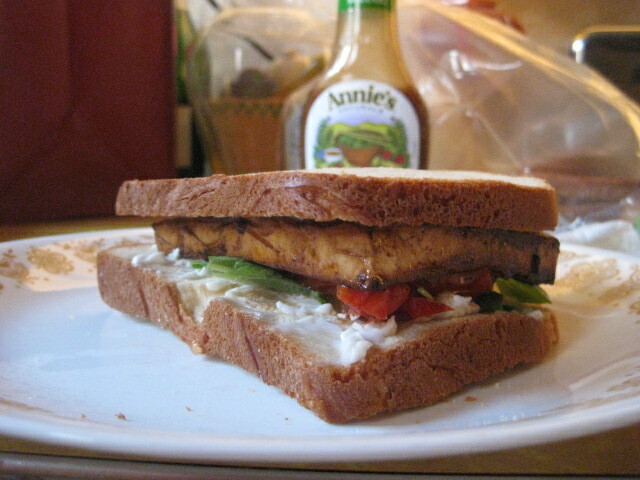 Be it sweet or savory, appetite-teasing or hugely satisfying, there is very little a sandwich can’t do.